Olympic legend Michael Phelps was arrested for driving under the influence in Baltimore on Monday night, CBS station WJZ-TV confirms. Phelps was arrested around 1:40 a.m. in the Fort McHenry Tunnel on I-95 by Maryland Transit Authority police, authorities said. The Maryland Transportation Authority released a statement, saying an officer stopped Phelps after his vehicle was clocked going 84 mph in a 45 mph zone. "Mr. Phelps was identified as the driver by his driver's license and appeared to be under the influence," the statement said. "He was unable to perform satisfactorily a series of standard field sobriety tests. Mr. Phelps was cooperative throughout the process." 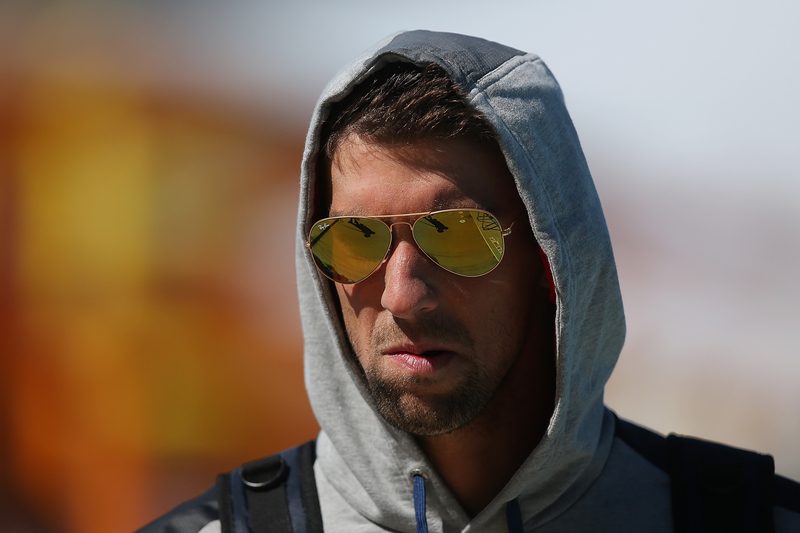 Phelps took to Twitter Tuesday to apologize for the incident. "I understand the severity of my actions and take full responsibility," he wrote. "I know these words may not mean much right now but I am deeply sorry to everyone I have let down." Phelps, 29, is the winningest and most decorated athlete in Olympic history. He captured 18 gold medals and 22 medals overall at the last three Summer Games. He broke Mark Spitz's record for a single Olympics by winning eight gold medals at Beijing in 2008. In April, Phelps announced he was coming out of retirement, the first step toward possibly swimming at the 2016 Rio Olympics. This is Phelps' second DUI arrest. In 2004, the Baltimore native was sentenced to 18 months probation after pleading guilty to drunken driving in Maryland. "I recognize the seriousness of this mistake," Phelps said in 2004 before a judge and courtroom of more than 100 spectators. "I've learned from this mistake and will continue learning from this mistake for the rest of my life." In 2009, a British tabloid published a photo of Phelps using a marijuana pipe in South Carolina. A sheriff said there wasn't evidence to charge Phelps with a crime, but USA Swimming suspended him for three months. Sponsor Kellogg Co. dropped him almost immediately, although Subway stayed with him. In the wake of the photo's release, Phelps said in a statement it was that he "used bad judgment and it's a mistake I won't make again."